New CIty | Will You Miss Me When I'm Gone? I had the great opportunity to finally get to chat with Doris Laughton, a wildly creative multimedia artist and notable neighbor on South Mountain Road in New City. Her “splat” sculptures have earned her the nickname of “splat lady,” but her work — with her art and her dedicated stewardship of her unique home, designed by 20th century painter and potter Henry Varnum Poor, who also lived on “The Road” — goes well beyond that. The house has been owned and occupied by artists for all but a couple of years in the five-plus decades since it was built — first Judith Freedman Deming, who was Poor’s niece and a founder and longtime proprietor of Fiberworks in Nyack, and, since 2008, Laughton. Go to lohud.com to read the full interview with Laughton. 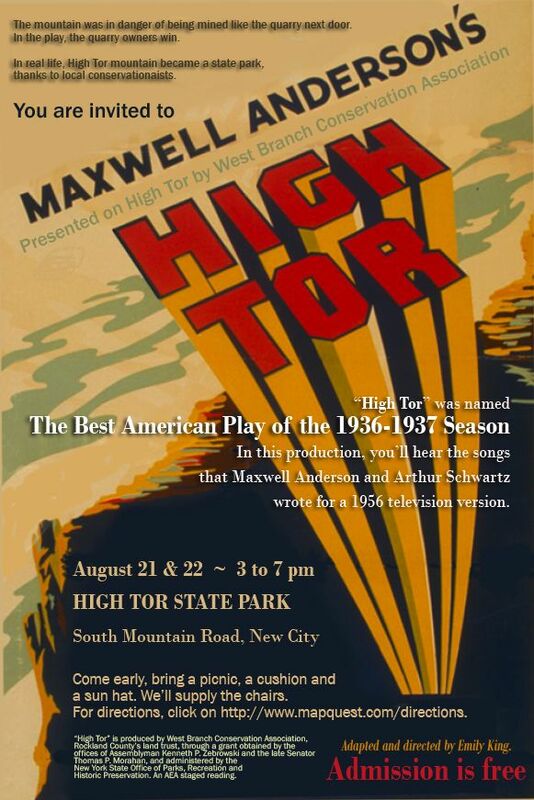 In just 10 days from today, on Saturday, Aug. 21 and Sunday, Aug. 22, we’ll get a chance to see a performance of High Tor, a play that really did change the world. 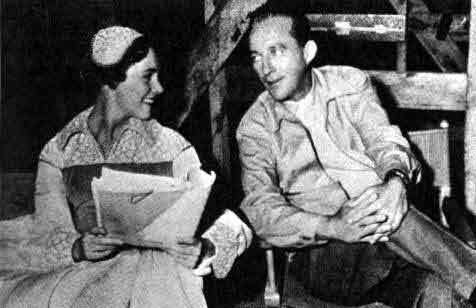 The West Branch Conservation Association, Rockland County’s Land Trust, is producing two performances of Maxwell Anderson’s New York Drama Critics’ Circle Best Play Award winner for 1937 on the on mountain the play was written to save and from which it takes its name. The old adage for writing is that you do your best when you “write what you know.” That’s what famed playwright Maxwell Anderson did in 1936. 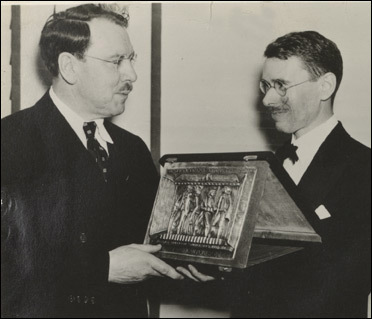 Maxwell Anderson, left, accepts the 1936 New York Drama Critics Circle Award in 1936, a year before he won it again, this time for "High Tor." Cellist Erik Friedlander is bringing his multimedia show Block Ice and Propane back home to Rockland County, N.Y., this Sunday when he performs at the Rockland Center for the Arts (RoCA). Block Ice is a cycle of compositions based on the road trips that New City native Erik’s family took every summer in a camper atop a 1966 Chevrolet pickup truck. Erik couples his music with images to give the audience a chance to share his childhood experiences. While Erik plays, the audience will see projections of photos taken famous father, photographer Lee Friedlander, who still lives in Rockland. If it weren’t for Lee’s work, Erik might never have taken the summertime road trips that inspired Block Ice. If you don’t know Erik’s work, come knowing that this won’t be a conventional, classical concert. Erik is one of the world’s premier experimental cello players. He coaxes an amazing array of sounds from his cello. He takes what he likes from classical, jazz and pop, unfettered by conventional rules. And he’s not shy about working with other musicians in all genres, either. He’s collaborated with artists as varied as performance artist Laurie Anderson and indie rockers The Mountain Goats. Erik Friedlander performs at 2 pm on Sunday, Oct. 4, at Rockland Center for the Arts, 27 South Greenbush Road, West Nyack, N.Y. More information is available here. Call (845) 358-0877 for tickets. $20/$15 for RoCA members. How much of Crow House’s art will fly away? 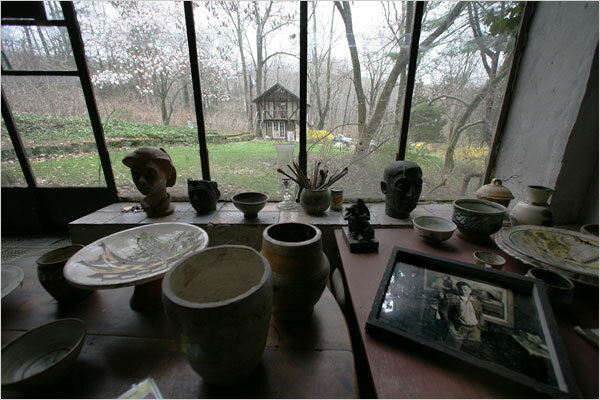 A view from inside the Crow House studio showing only a few of the artworks housed in Henry Varnum Poor's self-designed homestead. The news in Thursday morning’s edition of The New York Times about what’s happening at Crow House, the rambling New City home of the late visual artist Henry Varnum Poor is truly distressing. The idea that artwork created by Poor, who is known as the father of the modern craft pottery movement, that has been in the curious and intriguing homestead for decades is being sold off by Poor’s surviving son, Peter. While some of the items in the house were clearly the property of family members and subject to removal, many of us who worked to save the home from the wrecker’s ball and get it into the hands of the historically sensitive administration of the Town of Ramapo believed that there was an understanding that an option existed to keep the bulk of the art with the house. That’s clearly no longer the case, if it ever was, as evidenced by Peter Poor’s decision to sell four ceramic pieces made by his father — three of them from Crow House — at Rago Arts and Auction Center in Lambertville, N.J., on Saturday. It’s easy to assume that Peter Poor will simply sell a few pieces for profit, and that will be the end of it. But what he tells The Times about Saturday’s auction suggests that there is more — much more — to come. That is an experiment that can only bring grief.